Tesla Model 3 is using Silicon Carbide MOSFETs for its main inverter. It is now confirmed from reverse engineering analyses from different expert companies (Munro Associates and System Plus Consulting). PntPower missed an analyst publication from August 2017 stating that ST Microelectronics was selected as a main supplier for Tesla Model 3 thanks to its SiC MOSFET at 650V. ST Microelectronics, at the time, was among the most advanced companies in SiC MOSFETs with a 1200V device already available, but nothing confirmed that SiC MOSFETs would be used as main devices for Model 3 inverter. As a reminder we extensively searched and commented the use of IGBTs in TO-247 packages in Tesla’s previous cars: Roadster, Model S and Model X. This also confirms the technological jump and the serious willingness of Tesla to become a major manufacturer of electric cars. This kind of specific design and packaging in a car is similar to the evolution of Toyota in the Prius, in a quest to improve design, density and efficiency of the HEV’s best seller, year after year. It is now confirmed that Tesla has been integrating SiC MOSFET based power modules from ST Microelectronics in Model 3 inverter. The modules are molded modules using copper ribbon-bonding for MOSFET connection. The SiC devices seems to be a 650V MOSFET at 100A made in Catania Fab (Italy), though no Automotive grade device is listed on ST Microelectronics website. The module is also very close to the most advanced technologies used today in Power Electronics packaging for automotive industry. It is to be compared with Mitsubishi electric J series TPM modules, with a cooling pad at the bottom and connections pin on the top. Packaging design has been made by a packaging expert company, based in the Netherlands, and called Advanced Packaging Center. Packaging production should be done by ST Microelectronics and/or their usual subcontractors for packaging. Tesla Model 3 manufacturing prediction from Bloomberg reach 38000 units as we speak (end of June 2018). 24 SiC MOSFET modules are used in each Model 3 inverter, this represents almost 1 Million ST Micro’s SiC MOSFETs on our roads. We will let the reader calculate the market it represents by putting its own price estimation on ST Micro’s modules. Infineon will probably catch-up and quickly become a second source for Model 3 production in order to secure the supply-chain and follow the production ramp-up roadmap announced by Elon Musk. Tesla made a technological jump between Model S and Model 3. It seems that Model S Power Electronic’s design objective was to quickly fulfill the power and performance requirements with off-the-shelf and available technology. On the other side, Model 3 designers might be more looking at mass-production and design and density optimization. It’s a clear sign that the Electric Vehicles market is starting to take the lead in Power Electronics innovation. FLOSFIA is a start-up working on a new wide band gap material: Gallium-Oxide. It’s a spin-off from Kyoto University created in 2013. The company develops what they call a “α-type” Gallium-oxide structure. Professor Shizuo Fujita from Kyoto University developed first this new material. It provides a band gap of 5.3eV, much wider than other semiconductor wide band gap material. You can find more information about FLOSFIA in our last news on the subject. Today Denso, one of the largest automotive equipment suppliers, announced they will invest in FLOSFIA in C series funding. Denso is the main supplier of Toyota. They helped develop the well-know and established hybrid system in Toyota Prius, Camry or other Lexus hybrid cars. According to Denso, this material can provide better efficiency, cost, size and weight for Electric Vehicle in the future. At the time Silicon Carbide (SiC) and Gallium Nitride (GaN) are finally hitting market with the first wide band gap based converters, Denso is already looking at the next step. It may be found in Gallium Oxide power semiconductors. Ascatron has announced the availability of Silicon Carbide (SiC) components using its in-house technology. The Swedish company raised founds last year in order to pivot. The business model is evolving from SiC epitaxy material manufacturing to a SiC device making. Their strategy to become an innovative SiC supplier is now on rails. The spin-out from Acreo research center developed their own 3DSiC® technology in order to reach higher quality and performance, as they claimed. They have a semi-fabless business model, where SiC epitaxy is made in-house, in Sweden, and chip fabrication and packaging is outsourced. MOSFET devices are under development and will be available in 2018. 3DSiC® technology, based on Ascatron expertise in advanced SiC epitaxy material, has the potential to lower losses up to 30% compared to conventional solutions, says Ascatron. EPC announced the EPC2046. It’s a 200V device dedicated to wireless power, AC-DC power supplies, PV micro inverters or low inductance motor drives. The 200V transistor is based on EPC’s latest GaN transistor design. It’s using their fifth-generation production process. It features 25mΩ Rds(ON) with a 55A max pulsed output current. It’s using the usual CSP package (Chip Scale Packaging) from EPC (which is basically a synonym of ‘no-package’…). The ‘package’ allows a very small size compared to similar Silicon MOSFETS. EPC’s 2046 is 0.95mm x 2.76mm. EPC2046 eGaN FET is distributed at $3.51 for 1.000 units. Littelfuse announced new 1200V Silicon Carbide diodes during PCIM 2017 last week, called GEN2. Littelfuse, which first focus was protection systems, is now fully entered in the power semiconductor world. This news adds to the recent additional investment in Monolith Semiconductor, a Silicon Carbide power devices start-up. The diodes are the first to be produced using the Monolith Semiconductor partnership. According to Littelfuse, they offer enhanced surge capabilities, with a low leakage. 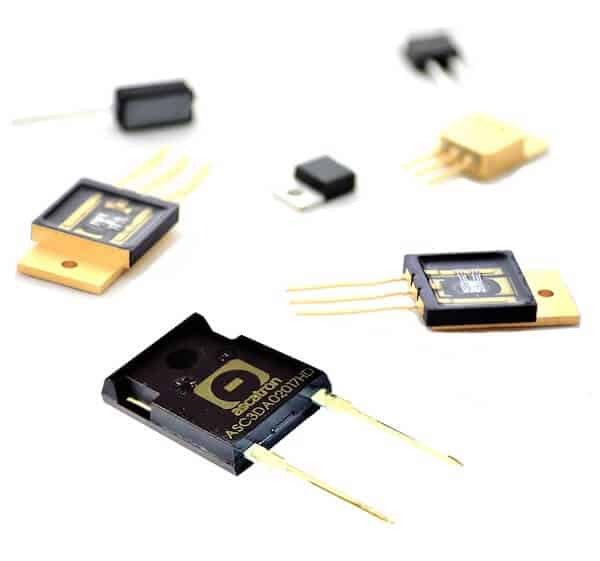 These characteristics add to the usual performances of SiC diodes: higher junction temperature, higher efficiency and power density for boost converters. Typical applications for these devices are power supplies with a PFC and freewheeling diodes in inverters. The main markets as of now are PV inverters, DC/DC converters, switch mode power supplies, some high-end UPS systems and motor drives. GEN2 SiC diodes are available at 1200V and at 5 to 10A, in discrete packages. SiC MOSFETs at 1200V should follow quickly, according to Littelfuse timeline. Infineon, announced today they start mass production of the successful EASY 1B power module using their SiC MOSFET CoolSiC. The EASY platform is widely used in the motor drive and industrial area, including hybrid and electric vehicles, HVAC, Pumps, DC/DC converters and on-board chargers. EASY platform has always been using latest Infineon IGBT technology. It’s now the first platform to propose a Silicon Carbide MOSFET option in mass production. 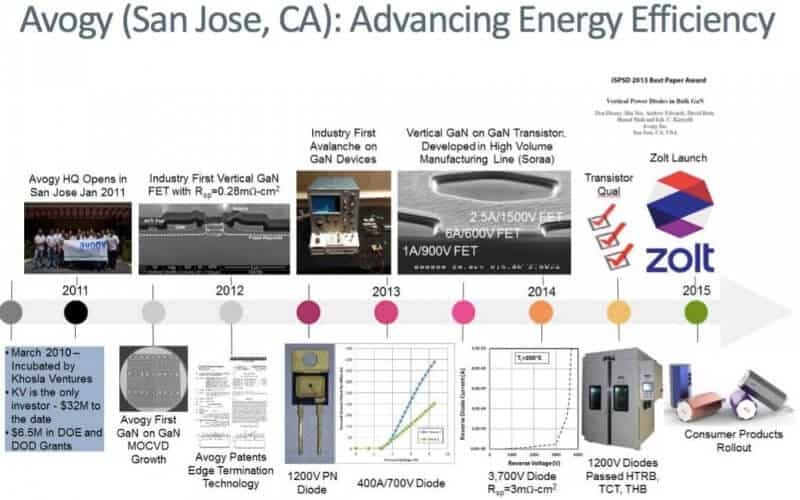 Infineon announced their SiC MOSFET technology last year at PCIM, after a long wait. They claimed to wait to have a reliable and easy to use technology. The CoolSiC is designed to be chip-to-chip replacable with an IGBT. They share the same driving voltages and characteristics. It’s probably not a good way to get the best performances but it surely facilitates the move to SiC technology by easing the work of designers. As the biggest power semiconductor manufacturer, Infineon sets a new standard in pushing for SiC, at last. The SiC version of EASY 1B will start with the B6 at 1200V: a six-pack full-bridge three phase design. EASY 2B with half-bridge and TO247 discrete components will also be available. This last part seems anecdotal, but let’s keep in mind that both Tesla Model S and Tesla Model X use Infineon’s TO247 IGBTs in the motor drive. The switch to Silicon Carbide in electric cars may be closer than we think. 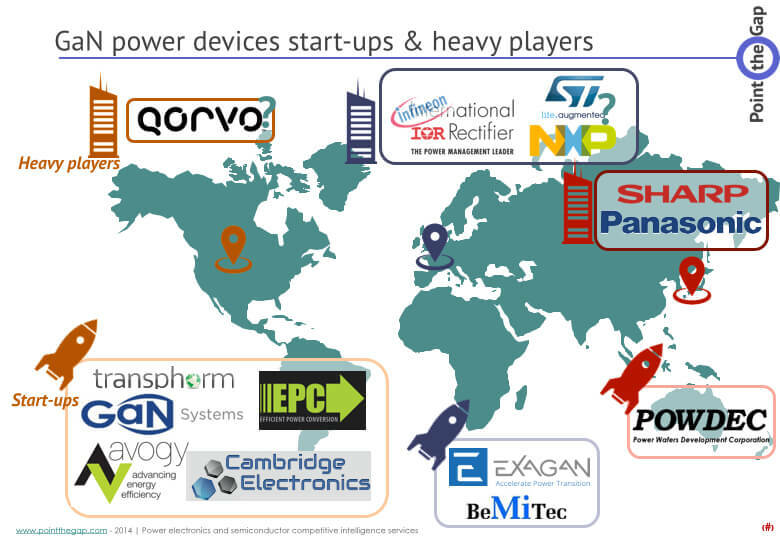 ExaGaN, the French GaN for power electronics start-up, had started a partnership with X-Fab in 2015 to develop a mass manufacturing process of GaN transistors on 200mm wafers. It’s now done. They announced today they have solved issues related to defectivity, material stress and process integration. They are able to manufacture their G-FET devices in X-Fab fab dedicated to GaN process. Being able to apply a process to 8 inches wafers is a good sign to the GaN industry for cost optimization. ExaGaN is still the wafer maker: Substrates are made in Grenoble (France), hometown of the French start-up, and using the proprietary process. Substrate making is key in GaN devices manufacturing, as it is highly challenging to growth GaN on top of another material (Silicon in this case). Still, it is necessary to stay in a reasonable cost ranges. ExaGaN says it confirms the strength of their fablite business model, keeping control of manufacturing from material to device. Is Avogy Inc. dead ? NexGen Power Systems logo (probably the new name of Avogy Inc. No press release confirmed the information). At PntPower we love to try, test, sneak and search. We acquired Avogy’s laptop charger, named Zolt just to try and test. We also published about what we might find in there, and then re-published about what kind of power devices were really in there. Recently, we went back to the website gozolt.com. It was down. It seems, according to social media, that the website has been down for a while. For all those (like us) who expected an update (like an EU plug version) or an additional plug to match latest laptops… I think you can try FinSix or Innergie’s latest chargers, or even expect Cambridge Electronics or Appulse Power to release a product soon. This down website led us to search more about Avogy Inc. The company is now renamed to NexGen Power Systems. A new name, an old website shut down, and probably a product line let down… what is happening at ex-Avogy ? Avogy Inc. was born ePowersoft Inc. in September 2010. It was backed in 2011 by Khosla Ventures, a fund that also invested in Scribd or Instacart. In the semiconductor field they backed Soraa, a GaN/GaN LED manufacturer founder by the inventor of LED, Shinji Nakamura. Khosla Ventures invested a total of 32M$ to date. Intel Capital (the investment fund of Intel) also supported Avogy Inc.
Avogy developed a GaN/GaN power semiconductor device. They own several patents in the field. After different developments and proof of concepts, they released and started to produce the 1st GaN/GaN vertical transistor. They used Soraa’s production line and Kyma technologies’ substrates. But according to all the people we discussed with, the distribution of these devices has never been large. As DoE and DoD also were investors in the company, they might have kept the first products, together with a very limited number of beta-test customers. Extract from Avogy Inc. presentation. All rights reserved Avogy Inc.
Avogy Inc. managed to advertise the company as the future GaN leader, by mastering GaN/GaN technology and outclassing any other GaN/Si or GaN/SiC based technology. 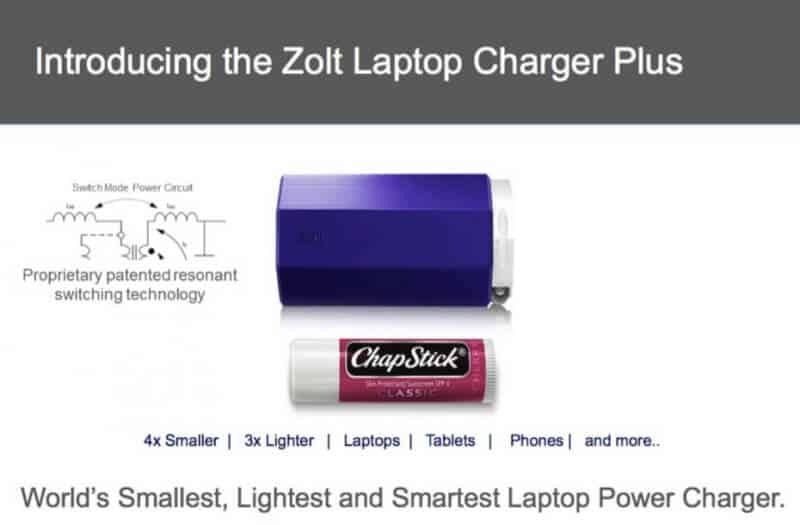 In 2015, Avogy Inc. through Zolt, a subsidiary created for the occasion, released a small laptop charger. They left doubt and confusion whether or not their device used GaN devices. Finally, a reverse engineering process revealed that Cree MOSFETs were used… Which is ironic for a GaN device maker. By the end of 2016, Zolt’s website stopped working and there is no news or ways to contact the company. It seems that they produced a batch of chargers, and then closed the website. Extract from Avogy Inc. Presentation. All rights reserved to Avogy Inc.
Avogy Inc. now leads you to the same website, with a logo and address changed to Nexgen Power Systems. No PR, no communication, no information released anywhere. You can find traces of an auction from January 2017 where Avogy is selling a lot of equipment… Is Avogy preparing a rebirth from its own ashes ? These signs are not very positive. But let’s wait for further information. Maybe Nexgen (ex-Avogy) is preparing something big, with next investments ! We will investigate further during PCIM in Nuremberg. https://www.pntpower.com/wp-content/uploads/2017/05/NextGen-Logosmall.png 210 900 Alex Avron https://www.pntpower.com/wp-content/uploads/2018/01/Ptpower_green.png Alex Avron2017-05-09 13:57:362017-05-10 14:18:01Is Avogy Inc. dead ? Renesas Electronics Corporation announced its new 100kW class inverter solution. It’s designed to drive 100kW motors for Hybrid and electric vehicles (EV and HEV) in a 3.9 liter volume. All manufactured and supplied by Renesas. The objective is to shorten the development time for engineering and design teams. Renesas claims it could help reduce prototyping time of up to 50%. A 50kW solution already existed since 2014. It’s now completed with this new 100kW high power kit. Danfoss Silicon Power and General Electric announced they entered in an agreement this week. Danfoss is establishing a new production site for power modules. This was the opportunity for them to start the production of full SiC based power modules. The collaboration between Danfoss Silicon Power and General Electric comes as part of the New York Power Electronics Manufacturing Consortium (NY-PEMC). The NY-PEMC is a private-public collaboration with an investment of USD 20 billions established in 2014. By early 2018, Danfoss will have a running production site for Silicon Carbide power modules in Utica, NY. GE will provide SiC MOSFET and Diodes from its own technology and production sites. New York State will own the buildings and finance start up costs, as an effort to promote innovation. Danfoss Silicon Power will rent them to the state of New York. says Claus A. Petersen, General Manager and Vice President of Danfoss Silicon Power. X-FAB is set to become a leader in the SiC devices production. Following their announcement in October last year, they did what they said. The Lubbock, Texas manufacturing site is now offering SiC devices production on 6 inches wafers, in addition to its 30K Si Wafer production capacity. X-FAB not only invested capital to upgrade the fab. They also got the help of PowerAmerica Institute and NC State University. As a result, the following production tools have been added : high-temperature anneal furnace, backgrind equipment for thinning SiC wafers, backside metal sputter and backside laser anneal tools. A high-temperature implanter will be installed later this year. The production capacity is of 5k wafers/month and can potentially be extended further. Transphorm, one of the best-known Gallium Nitride power electronics start-ups has officially opened its”Center of Excellence” in San Jose, California. A team was established and growing for one year in Silicon Valley. It’s now official. The Center will also have worldwide offices. The objective was to support and educate customers about the GaN transistor technology and how to design using this new wide band gap material based devices. Center’s staff will also build a knowledge base made of white papers, reference designs and publications. Transphorm, like many of its competitors, now needs to educate and evangelize the market. It’s required to accelerate adoption of GaN Devices, and avoid the long and slow adoption of SiC MOSFET we have seen for the past 5 years. https://www.pntpower.com/wp-content/uploads/2015/06/Transphorm.jpeg 128 500 Alex Avron https://www.pntpower.com/wp-content/uploads/2018/01/Ptpower_green.png Alex Avron2017-03-24 11:28:032017-03-24 11:28:03Transphorm opens its "Silicon Valley Center of Excellence"
[…] Combustion Engine). For the later, Tesla’s...February 11, 2019 - 7:51 pm by Is Tesla's production creating a SiC MOSFET shortage? 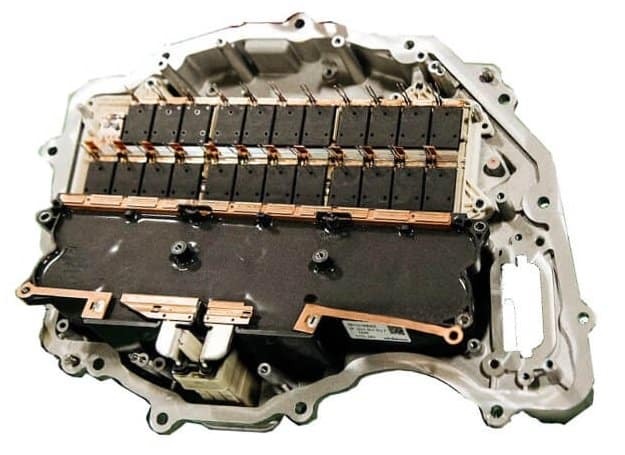 […] This first mass produced EV from Tesla has been...February 11, 2019 - 7:51 pm by Is Tesla's production creating a SiC MOSFET shortage?